This is a Full Scientific Report resulting from NERC Geophysical Equipment Facility Loan 980, principal investigator Prof Robert White. The original objectives of this proposal were 1. 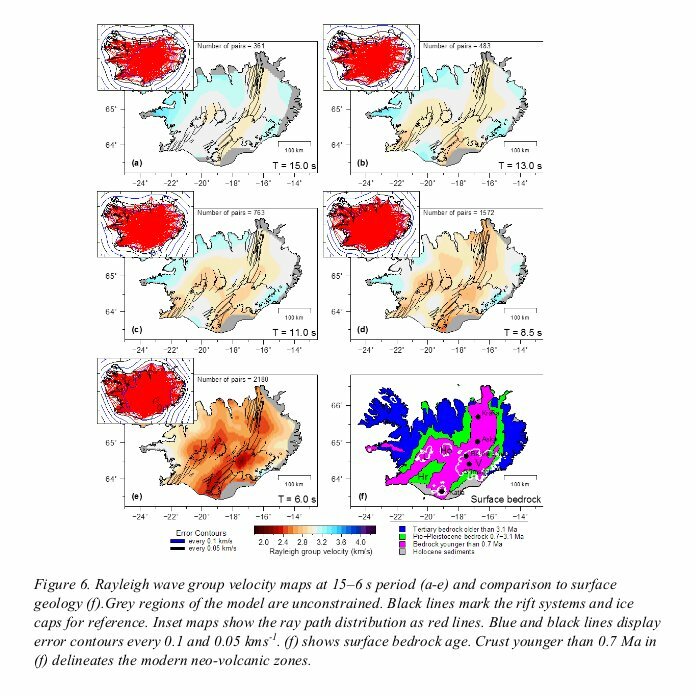 To make a tomographic image of the low-velocity, hot or/or melt-bearing bodies beneath Askja central volcano in the northern rift zone of Iceland; 2. To constrain the crustal and upper mantle velocity structure, including anisotropy beneath the northern rift zone and the Vatnajökull region using ambient noise and surface waves; 3. To map seismicity caused by melt movement beneath the five active volcanoes currently lying beneath the Vatnajökull ice cap. All three objectives have been achieved, and published, with more papers in preparation. A separate scientific report (loan 968) covers the first objective. To save repetition, I here report on the last two objectives. Loan 980 of 20 seismometers supplemented 26 6TD and ESP seismometers purchased by Cambridge University and deployed on this project. During summer 2014 to summer 2015 the array was also supplemented by 15 Guralp 6TDs from SEIS-UK under loan 1022 extension deployed to monitor the Holuhraun eruption.